Why has Russian steel been barred from the European market? The EU Commission imposed definitive anti-dumping duties on cold-rolled flat steel products from Russia. Pictured: An employee walks inside a cold rolling mill of the Metallurgical Plant, Southern Urals. The European Union has introduced anti-dumping duties on steel from Russia and China. As a result, Russian companies are suffering losses and are preparing to contest the EU ruling at the World Trade Organization. The European Commission has imposed definitive anti-dumping duties on cold-rolled flat steel products from Russia and China, including those used in machine engineering, the Official Journal of the European Union reported on Aug. 4, 2016. 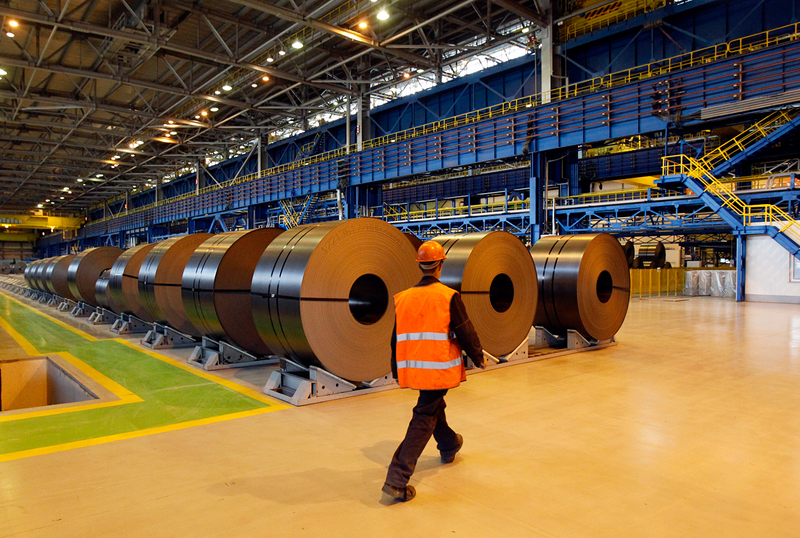 The move has affected major Russian steel producers. For the Magnitogorsk Iron and Steel Works (MMK) the duty has been set at 18.7 percent; for Severstal, at 34 percent; and for Novolipetsk Steel (NLMK), at 36.1 percent. The tariffs have been introduced retrospectively for a period of five years and will cover steel imports to the EU starting from December 2015. The Russian companies consider these tariffs to be protective and will seek to have them abolished. “The NLMK Group has been accused of non-existent dumping on the strength of false conclusions. We plan to contest the imposed duties at the EU Court as well as within the WTO,” Sergei Babichenko, head of the NLMK Group public relations department, told RBTH. According to Dmitry Kuchumov from the MMK press service, that company too will appeal against the duties. "Russia, and China, are certainly free to initiate a World Trade Organization dispute case against EU measure if they believe the EU did not respect WTO rules in its anti-dumping investigation,” said RBTH’s Geneva-based trade source. The report shows that 22 new trade-restrictive measures were initiated by WTO members per month during the mid-October 2015 to mid-May 2016 review period. This constitutes a significant increase compared to the previous review period, which recorded an average of 15 measures per month, and is the highest monthly average since 2011. What do the sides accuse each other of? The anti-dumping probe against Russian and Chinese metals companies began in May 2015. It was prompted by a complaint from the European Steel Association, EUROFER, which accused Russian and Chinese companies of deliberately cutting prices for cold-rolled flat steel products. According to EUROFER, reduced prices affected the financial standing of European steel producers. According to Eurostat, between 2011 and 2014, Russian companies’ share of the EU market nearly doubled, from 5.9 to 10.1 percent, and the amount of steel supplied rose by 50 percent, from 466,000 to 724,700 tons, whereas the average price fell by 21 percent (from 630 euros ($700) to 499 euros ($550) per ton). Russian players insist that the probe was hindered by malpractice and does not comply with international laws. “The European Commission’s biased investigation was carried out with numerous violations. The exhaustive data we provided in the course of the inspections was completely ignored and replaced with information about products of other companies and fabricated calculations,” Sergei Babichenko told RBTH. The imposed duties will have a negative effect on the profit margins of Russian cold-rolled steel, which will hit big exporters to the EU the most. Artyom Kalinin, an analyst with the Leon MFO investment company, points out that for NLMK and Severstal more than 30 percent of their sales come from export, including to the European Union. For the time being, the duties cover only cold-rolled flat steel products. However, in early July 2016, the EU authorities announced the launch of an anti-dumping probe into supplies of hot-rolled steel from Russia, Brazil, Iran, Serbia, and Ukraine. “The U.S. has been very actively and aggressively introducing duties against Chinese steel producers for a year already. Taking their cue from this, the European authorities may display an equal resolve and, possibly, extend the duties to other types of product,” warned Kalinin. However, Dmitry Baranov, a leading expert with the Finam Management investment company, points out that Russian steel makers may be able to mitigate their financial losses from the EU duties by shifting their focus to other markets.